Already know that Government, Policy, International Affairs or Law are the areas for you? Need resources to assist in your internship or career search? Please scroll to the bottom of this page to the RESOURCES sections, then click on the appropriate tab(s) to find what you’re looking for! JUST STARTING YOUR CAREER COMMUNITY SEARCH? READ ON! GOVERNMENT AGENCIES work to implement policy and provide services to citizens at the federal and local level. Virtually every job you can think of has a corollary in a government agency. Every major is wanted and needed. POLICY/POLITICS elected officials craft the policies that agencies implement by conducting research, meeting with individual constituents, think tanks, and trade associations and attending town halls. If you aren’t a researcher, consider running for office yourself, or working for someone who does! INTERNATIONAL AFFAIRS allows you to focus on world issues especially if you are passionate about diplomacy or international development. This is a rewarding and highly competitive field. LAW: SuccessWorks partners with our colleagues at the Center for Pre-Law Advising to help students who are considering whether or not law school is for them. CPLA has some fabulous resources on their website, or you can make an appointment to go in and chat with one of the Pre-Law advisors. If you aren’t yet sure if law is for you or if your interests are more related to careers in the legal field that don’t involve law school (e.g. criminal justice, paralegal, etc. ), or related to what you might do during a “gap year” prior to law school, then come on over to SuccessWorks and let’s chat! Set up your profile in Handshake to take care of everything you need to explore career events, manage your campus interviews and apply to jobs and internships from 200,000+ employers around the country. Think you might be interested in an internship or career in Government, Policy, International Affairs, or the Legal Field? Schedule an appointment with Marie Koko to talk about job and internship opportunities, get networking tips, prepare for conversations with employers, review your application materials, learn how to write a government resume, negotiate a job offer, and more. Spend a semester or summer on an internship in Washington, DC, focusing on domestic or international policy issues while living in the heart of the nation's capital. 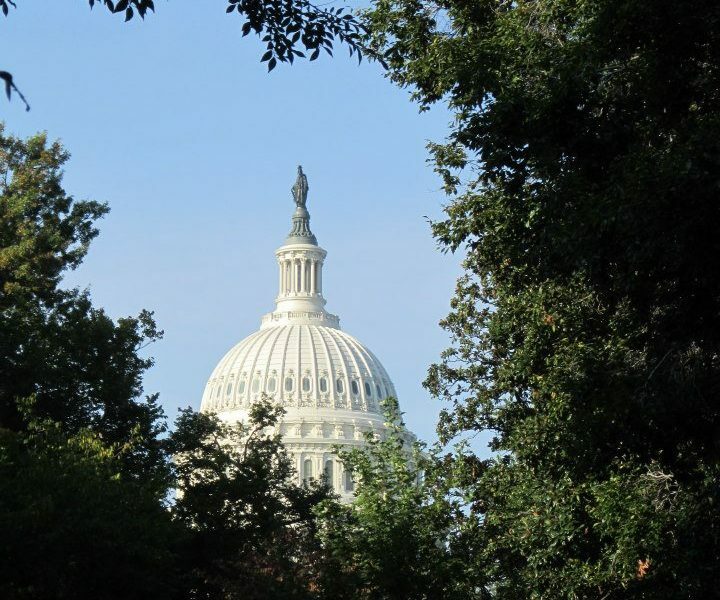 As you earn academic credit for your internship, you'll gain first-hand experience in the political sphere of Washington, DC, connecting with UW alumni and other professionals. Semester students will have the option to take a course taught by our Ambassador in Residence. 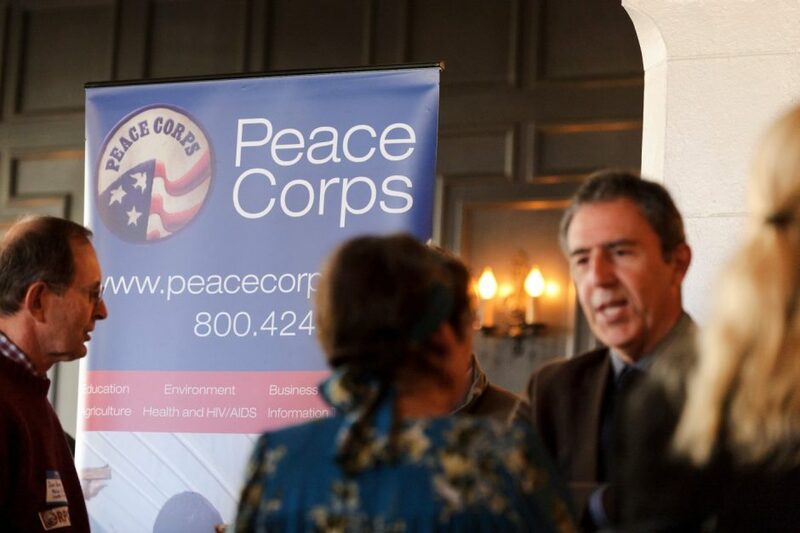 The University of Wisconsin-Madison is proud of our long-standing and significant role in promoting Peace Corps on our campus. Since 1961, more than 3,200 University of Wisconsin-Madison graduates have put their education and experience to work around the world in the areas of education, health, environment, community and economic development, agriculture, and youth in development. 49% of federal jobs are in the civil service. The other 51% are made up of excepted positions and the US Postal Service. In a nutshell, we can think of public policy as a system of laws, regulations, and courses of action implemented by government. These directives touch every aspect of our lives, including education, law enforcement, the allocation of environmental resources, healthcare, etc. Ideally, public policy is developed to serve the public interest. But ideas about what is “best” for the public are always changing, influenced by shifting values, and evolving social, political, and economic needs. Therefore public policy is constantly in flux. Government commitments change. Public interests change. How do decision-makers choose which new policies to introduce, and how best to develop and implement them? Enter the public policy analyst. Public policy analysts advise governments, at all levels, on which new policies are needed and what’s involved in launching those policies. Research – Every policy recommendation begins with in-depth research. Some of this research takes place on a regular basis, and includes staying abreast of relevant current events, public opinions, and political developments. Other aspects require deep dives into data, research studies, reports, surveys, and other informational resources. Policy analysts must be comfortable using a range of research tools and methodologies, in order to develop a thorough, evidence-based understanding of the problem at hand, from every possible angle. Data Analysis – Research and analysis go hand-in-hand for policy analysts. They must be able to cut through masses of information and diverging views, and actually make sense of the information they gather. This generally involves analyzing and integrating large volumes of qualitative and quantitative data. The goal? To get a clear and objective sense of the facts; to lay the groundwork for what must come next—proposing solutions. Critical Thinking & Creativity – In order to develop feasible solutions, and fully understand their pros and cons, policy analysts must synthesize all of the research they’ve gathered and analyzed, and then add something to it: creative insight. Creativity is necessary to envision innovative new solutions—but it must be balanced with a talent for critical thinking. Only then can policy analysts anticipate the issues and needs that will arise from each approach they envision, and identify the most fair and effective option. Persuasive Communication – Communication is key for policy makers, who must be able to present their ideas to government authorities in persuasive ways. This includes both writing and verbal skills, and the ability to respond to feedback, criticism, and questions in productive ways.Great policy-advising doesn’t happen from behind a desk. Analysts must go through the right channels, and be ready to make a compelling case for their views. They must be good at breaking down the key messages and most salient points of their analysis, and delivering those main ideas with precision and clarity. Collaboration – Policy making doesn’t take place in a vacuum. Analysts must collaborate with colleagues, elected officials, specialists, and the public when developing policy proposals. Strong interpersonal skills are an absolute must for this role, along with open-mindedness and patience. The Robert M La Follette School of Public Affairs at UW-Madison – Earn your MPA or MIPA in a wide range of policy areas right here at UW’s own La Follette School. 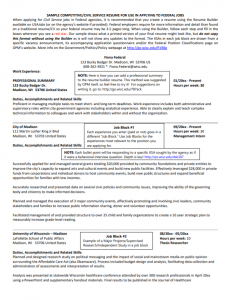 La Follette Accelerated Program – Are you a Junior who knows policy is for you? The LaFollette School of Public Affairs admits highly motivated undergraduates to its “accelerated program” after 5 semesters of undergraduate study. District Daybook – The premier job listing resource for political and policy professionals in Washington D.C.
“Think tanks” are dedicated to discovering what is best for all, or at least most, of us. What they bring to the process is not only honest research, but also heart-felt ideology and what is often a dedication to differing priorities and outcomes.It is often the think tanks which best articulate policy, and which both inspire and inform our nation’s leaders.The links below can help you find a think tank that researches policy topics important to you. Nearly all have at least a slight (or overt) partisan bent, so do your homework to avoid a mismatch between your values and the policy focus of the think tank you want to work for. Public Interest Law Initiative (PILI) – PILI’s mission is to cultivate a lifelong commitment to public interest law and pro bono service within the Illinois legal community to expand the availability of legal services for people, families and communities in need. A trade association, also known as an industry trade group, business association, sector association or industry body, is an organization founded and funded by businesses that operate in a specific industry. A trade association participates in public relations activities such as advertising, education, political donations, lobbying and publishing, but its focus is collaboration between companies. Associations may offer other services, such as producing conferences, networking or charitable events or offering classes or educational materials. Many associations are non-profit organizations governed by bylaws and directed by officers who are also members. Thinks tanks and policy research firms may look into the issues, but the folks who make their living lobbying are the ones who convince Congressmen to support their employer’s point of view and make (or remove) laws. This is a great career for those who have great sale skills, unshakable passion for a cause, and love talking to people. Typically, lobbyists come from the ranks of those who have spent several years working on Capitol Hill because they have a cell phone full of contacts whom they can call to set up a meeting. Gain experience either by interning for a trade organization, or for a state or federal member of Congress/State Legislature. To find out who the major “players” are in the lobbying game, see below. DC Public Affairs – Washington DC area jobs and internships in public affairs, communications, public relations, media, web development, lobbying and related fields. Given the proximity of the UW campus to our State Capitol in Madison, it probably comes as no surprise that many of our students intern with State Senators or Representatives, the office of the Governor or Lt. Governor, and on legislative committees. There are several ways to find and apply for these opportunities. Since most entry-level Legislative Staffers are “promoted” from the ranks of former interns, interning at the capitol is a great way to get your foot in the door. Each committee page below lists the members of that committee and the bills currently under debate by the committee. Match your interests to an elected official who shares them and see if you can score an internship helping with legislative research. Looking for Jobs with State Legislatures Outside of Wisconsin? Ballotpedia can show you all of the candidates up for election in any current cycle. You can start there to find out who is running in just about every election throughout the country. Most campaigns are understaffed and overworked, so chances are good that if you walk in the door and ask to help, they will put you to work, and reliable campaign workers often become staffers if the candidate is elected or re-elected. For many of you, the idea of working on “The Hill” instantly conjures up an image of the Capitol Rotunda, the Houses of Congress or even the White House. You dream of helping to create and craft new laws, or of helping to repeal old, ineffective ones to ensure that the will of the American people is enacted. Many of us were first introduced to the concept of lawmaking by this now classic Schoolhouse Rock video which explains how a bill becomes a law in its simplest and most basic form. Interning in DC can be a great experience, but go into it knowing that it’s a “company town” where who you know often trumps what you know. And getting ahead requires you to become an expert networker. UW has a lot of alums in DC who are happy to help. Make sure you connect with Badger Bridge, the DC Alumni Chapter, and SuccessWorks own Alumni Relations Specialist. The White House Internship Program is a public service leadership program that provides a unique opportunity to gain valuable professional experience and build leadership skills. This hands-on program is designed to mentor and cultivate today’s young leaders, strengthen their understanding of the Executive Office, and prepare them for future public service opportunities. White House Departments to choose from for your internship. White House Fellows Program Selected individuals typically spend a year working as a full-time, paid Fellow to senior White House Staff, Cabinet Secretaries and other top-ranking government officials. Fellows also participate in an education program consisting of round-table discussions with renowned leaders from the private and public sectors, and trips to study U.S. policy in action both domestically and internationally. Fellowships are awarded on a strictly non-partisan basis. This section provides links to some resources for Madison (and its surrounding cities), but for the most part you’ll need to do some Google searching to find these opportunities in other areas. This website can get you started on finding local government websites throughout the US, but then you’ll still need to search for where you want to intern or where you want to run for office. CPLA offers some fabulous resources and you can also make an appointment to go in and chat 1:1 with the Pre-Law advisors. All of them hold JDs and can be of great help to students – whether you are just starting to consider law, or have been playing lawyer since you were in the 2nd grade! UW Pre-Law Undergraduate Scholars (PLUS) Program – Open to students who have completed their freshman or sophomore years in college, the program is designed to help students explore legal education and careers in law and to help them succeed in applying to, enrolling in, and graduating from law school. This transformative experience is offered at no cost to you. As a program participant, you will receive tuition, free room and board for the duration of the program, and a $1,000 stipend. You will also receive a fee waiver from the Law School Admissions Council for the LSAT and Credential Assembly Service. Corrections, Probation, Parole, Juvenile justice, Victim’s Assistance, Court reporting/transcription services, Legal Assistance/Research, Global Intelligence, Private Investigation, Internet Security, Surveillance, Loss Prevention, Social Work, Property Loss Management, and many more…. Madison Area Paralegal Association (MAPA) – Madison Area Paralegal Association (MAPA) is a non-profit organization affiliated with NALA – The Paralegal Association. We are a strong group of paralegals, legal professionals and students who live and work in Madison, Wisconsin and the surrounding areas. MAPA’s primary purposes are to provide educational opportunities for professional development and to promote the paralegal profession. PDF Brochure to learn more. The Legal Studies major – The program’s mission is to provide a liberal education across traditional disciplines, focusing on the theory and operation of law and legal institutions. The courses in the Legal Studies major expose students to the many facets of law as a social phenomenon – its evolution, function, motivating ideas and effects. The major is not intended as preparation for law school because the emphasis is on exploring broadly defined questions about law from a variety of perspectives, rather than on training for the profession. The Legal Studies major is, however, suitable for pre-law students. The Criminal Justice Certificate – Students gain a broad understanding of the philosophy, theories, and operation of the adult and juvenile justice systems. Studies focus on the causes of crime and delinquency, examine fundamental concepts underlying the practice of justice, and analyze the impact of crime on our society. The inner workings of criminal justice agencies are reviewed through an internship component and options for controlling crime are surveyed. Students are challenged to consider new ways of preventing and handling crime. The Department of Sociology – Sociologists study a broad array of topics including intimate relationships, friendship groups, families, education, politics, economic arrangements, organizations, crime, inequality (for example, by race, gender, and class), illness, and much more. We are curious about what is going on in the world and more importantly: why and how? Because it is a such broad field of inquiry, sociology majors are equipped to enter a wide range of occupational areas, including corporations, government agencies, social service institutions, and law enforcement agencies. An undergraduate sociology major is also an excellent foundation for graduate study. The School of Social Work -Seeks to enhance human well-being and promote human rights and social and economic justice for people who are disadvantaged to achieve an equitable, healthy, and productive society. The school aims to: Create, advance, strengthen, and integrate interdisciplinary knowledge for students and the profession through research, scholarship, teaching and practice. Educate students to become highly skilled, culturally competent and ethical practitioners who will provide effective leadership for the profession of social work within the State of Wisconsin, nationally, and internationally. Promote change at levels ranging from the individual to national policy, including empowering communities and populations that are disadvantaged and developing humane service delivery systems. Create and disseminate knowledge regarding the prevention and amelioration of social problems. Training in international affairs prepares you to solve problems through diplomacy, defense, and development work. You can help manufacturers, communication firms, consultants, energy companies, and others move products and ideas around the world. You can build the capacity of students and organizations through international education and cross-cultural training. You can stop conflicts, fight disease, and slow environmental degradation. Students with a background in IA find meaningful careers addressing these issues in the public, private, non-profit, and multilateral sectors. However, it can be a challenging world to break into. The resources below should help guide you as you set out on a path to a global career. Apply for a Boren Scholarship (undergrad) or Fellowship (grad) to fund international language study in countries with languages of “critical need” to federal government agencies. Make an appointment to meet with our Campus Peace Corps Representative to learn about service in the Peace Corps. It may even pay up to 33% of your graduate school tuition! What is Being a Foreign Service Officer Like? The State Department Consular Fellows Program – Foreign Service Consular Fellows serve in U.S. embassies and consulates overseas alongside Foreign Service Officers, other U.S. agency personnel, and locally-employed staff. Using their language skills in Spanish, Portuguese, Mandarin Chinese, or Arabic, their primary duty is to adjudicate visas for foreign nationals. Duties and responsibilities are similar to those of entry-level career Foreign Service Officers. While at post, Consular Fellows are members of the embassy or consulate community and receive many of the same benefits that career Foreign Service members receive, such as housing and educational allowances for eligible family members. Diplomatic Couriers – Foreign Service Diplomatic Couriers assist in worldwide security programs that provide secure transportation services for Department of State classified diplomatic pouches. The State Department Foreign Service Specialist – The U.S. Department of State offers career opportunities to professionals in specialized functions needed to meet Foreign Service responsibilities around the world. As a Foreign Service Specialist, you will provide important technical, management, healthcare or administrative services at one over 270 posts overseas, in Washington, D.C., or elsewhere in the United States. OPIC – The Overseas Private Investment Corporation is a self-sustaining U.S. Government agency that helps American businesses invest in emerging markets. The Intelligence Community – Made of of 17 agencies working together to protect the United States of America. We focus on an ever-expanding range of issues, from terrorist financing to drug trafficking, from climate change and environmental issues to foreign technology threats and nuclear proliferation. USAID – USAID is the world’s premier international development agency and a catalytic actor driving development results. USAID’s work advances U.S. national security and economic prosperity, demonstrates American generosity, and promotes a path to recipient self-reliance and resilience. And a Great List for STEM majors – These federal science and technology agencies have information specifically about international matters. Use these links to reach the main “international” component of their site. These agency sites may also contain additional international information. The World Bank – Works with governments, civil society groups, the private sector and others in developing countries around the world, assisting people in all areas of development, from policy and strategic advice to the identification, preparation, appraisal and supervision of development projects. NGO Aid Map shares information about international development and humanitarian response by mapping diverse projects visually and interactively. The Peace Corps was established by an Executive Order issued by President John F. Kennedy on March 1, 1961 which was followed up on 3/2/61 by Kennedy’s famous “Ask not…” speech. Returned Peace Corps Volunteers have gone on to achieve extraordinary success in all kinds of fields. Some, inspired by their service, stay in education or health-related professions, or choose to join the Foreign Service. Others pursue careers in business, from entrepreneurial startups to management at major companies. The alumni network is huge and can be a real benefit when you are searching for the first post-service job. Unlike many years ago, Peace Corps volunteers are no longer sent “wherever” with no say in their placement (unless they choose this option), but instead can select a specific program, project, or country to serve with. Some common questions about and benefits of Peace Corps service are listed below. Is Peace Corps Service Right for You? Financial Incentives Linked to Service – Financial assistance is available to returned Peace Corps Volunteers at more than 90 partner schools in a wide range of disciplines through the Paul D. Coverdell Fellows Program. All fellows complete internships in under-served American communities, allowing them to bring home, and expand upon, the skills they learned as Volunteers. If accepted to a partner school, up to 33% of your graduation tuition may be paid. Federal Job Benefits Linked to Service – Like Americorps Vista alums, Peace Corps alums who complete the full 2 years of service receive Non-Competitive Eligibility for Federal jobs for one year following completion of their program. You can view opportunities (Federal and NGO) for returned Peace Corps Volunteers on their Career Link. UW Campus Peace Corps Representative – Visit with a returned Peace Corps volunteer who can assist you with your application, site selection, and more. Many events and opportunities are offered throughout the year. You will find them listed on the page. UW’s Peace Corps Recruitment Ranking – Simply put: WE’RE #1!!!!! What Can You Do in State, City, or County Government? When students think about looking for a government job, they often think of the nation’s largest employer – The Federal Government – but for those of you who would rather make a difference closer to home (or lack the flexibility to move anywhere in the nation or the world), there is a great alternative: working in state, local, or county government. Route 50 is a good information site that talks about issues of importance to those who work in State and Local Government. You can subscribe to their daily newsletter or just visit the site and search topics of interest. As a state government employee, you get the opportunity to do much of the same work that you could do at the Federal level. State employees work on a wide range of issues from the implementation of policies regarding healthcare, education, and public works, to state travel and tourism initiatives, to international trade affecting companies located in the state, to working with the state’s elected officials. County Government – From 911 to the Sheriff to the M.E. It’s hard to know sometimes whether the job you want is found most often at the Federal, state, local or county level. Most students overlook county jobs entirely since they don’t know what might be there for them. Hopefully this list will give you a better idea of what kind of jobs exist at the county level. If you have clicked on this tab, you are already a major step ahead of 75% of the other applicants for any government job or internship. 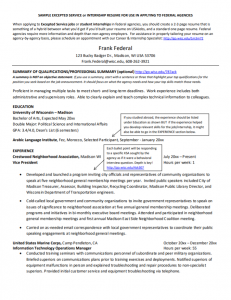 What Is/Isn’t a Local Government Resume? A government resume is usually not the same as the 1 page resume that most career advisors and well-meaning parents will teach you to write. The Importance of KSAs on this website provides a detailed explanation of what KSAs are and gives examples of good ones and bad ones. This was written for when KSAs were more often essays than bullet points, but if you ignore the personal pronouns (I/me/my) in the examples, they show you how to build good KSA bullets for your resume. Note: internship postings often give very little in the way of KSAs (see above) to build keyworded paragraphs around, so read the job description carefully to see what KSAs you can pull out. 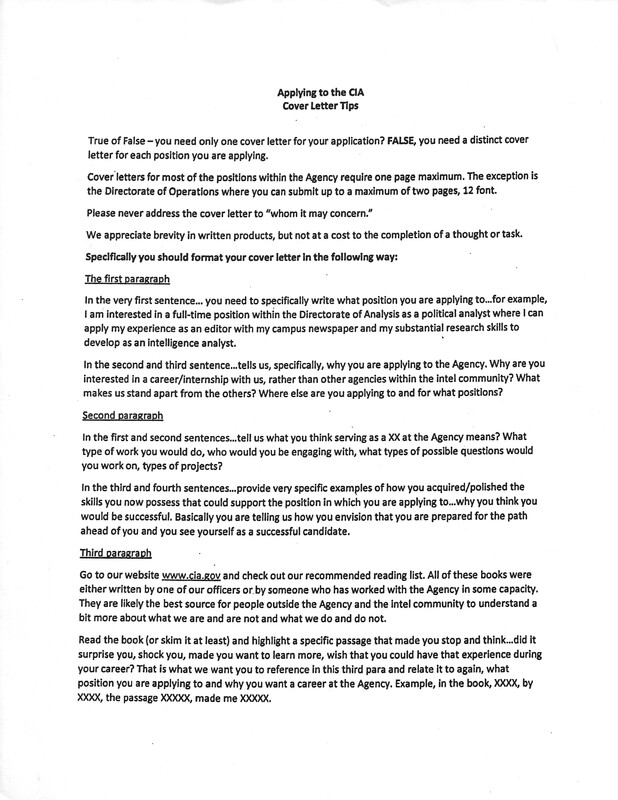 Tailor Your Cover Letter to a Government Job – There isn’t anything dramatically different about a cover letter for a government agency. You are still trying to show the reader how you “fit” with the agency, its mission and the needs of the position, but you also should mention something about your passion for public service. The State of Wisconsin is one of the largest employers in Wisconsin. All educational backgrounds are considered for the vast majority of opportunities. Some of the top skills and expertise areas held by those working for the State of Wisconsin include Constituent Relations, Legislative Research, Parole Services, Constituent Services, and AODA (drug and alcohol abuse prevention and counseling). WiscJobs – The official employment site of Wisconsin State Government. Nearly all state agencies post opportunities here. Govern for America Fellowship – Govern for America recruits exceptional recent college graduates with in-demand skills to join our community of transformative leaders. We work with state partners to identify opportunities where Fellows can tackle our nation’s toughest problems and usher candidates through a selective application process to find the people to get the job done. Lead for America Fellowship – Each year, we select a diverse class of outstanding young leaders from around the country to work with local government leaders who are actively confronting and addressing the nation’s most intractable problems. We believe that local governments are more effective and responsive to the people when they look like the community they serve, and thus we commit to selecting Fellows from underrepresented and overlooked backgrounds. The federal government is our country’s largest employer with about 1.9 million people – including 15 cabinet-level agencies and over 200 independent agencies. As Baby Boomers continue to retire, federal agencies will need to hire new workers for “mission-critical” positions in almost every occupational field in locations throughout the country and the world. With very limited exceptions, Federal jobs and internships are only available to U.S. citizens. If you have dual citizenship between the US and another country, some agencies won’t mind while others might require you to give it up prior to being hired. If you do not have U.S. citizenship or have a green card, opportunities will range from nonexistent to extremely limited. For Internships: IC opportunities are typically open Sept/Oct for the following Summer, Jan/Feb for the following Fall, and June/July for the following Spring (there are always exceptions such as the CIA internship only open to freshman that accepts applications from January-April each year for internships to start the following summer. The CIA generally closes it’s following summer recruitment by May 1 of the previous year, but this is an exception to the rule. WHY consider the Federal Government? If you are seeking a career where you can make a positive difference in the lives of your fellow citizens, protect our air, water, land, and food supply, improve the United States’ image abroad, or identify terrorist threats before they come to fruition, the Federal Government has a job or internship for you! Decent Salaries – Most salaries are comparable to those in the private sector. Pay is based on grade levels GS-1 to GS-15. Each grade contains 10 steps. Starting salaries are based on your geographic location, grade point average, and experience in the field. PhDs typically start at GS-11 and go up from there. Quick Advancement – Regularly scheduled and merit-based promotions are the rewards for good job performance. Pensions – Coverage by secure pensions, difficult to find in the private sector. Generous Vacations – Ten paid holidays and up to 26 days of vacation. Flexible Schedules – Don’t want to work 9-to-5? Some agencies have flexible schedules, part time work, and telecommuting options. This is a great contributor to balancing your work and personal lives. Looking for a purpose? A meaningful job? – You can impact the lives of people every day. Working for the government provides the opportunity to make our country better through interesting and challenging job opportunities. They are hiring – As the approximately 250,000 Baby-Boomers currently in government service retire, some positions will be discontinued, others consolidated, but many entry level jobs will need to be filled as current employees move up the promotion ladder. Learn to Speak “Governmentese”– Anyone who has tried to read a vacancy announcement on USAJobs knows that the government almost seems to speak a foreign language. A Glossary of Federal Terminology lists some of the most common terminology you will encounter when reading vacancy announcements so you can begin to grasp what they are talking about. This link explains which jobs fit into which categories. The Partnership for Public Service has a great website called GoGovernment covering a lot of details pertaining to Federal job searches. Competitive/Civil Service – These jobs are under OPM’s jurisdiction and subject to the civil service laws passed by Congress to ensure that applicants and employees receive fair and equal treatment in the hiring process. These laws give selecting officials broad authority to review more than one applicant source before determining the best-qualified candidate based on job-related criteria. A basic principle of Federal employment is that all candidates must meet the qualification requirements for the position for which they receive an appointment. Excepted Service – Approximately 51% of Federal positions are “excepted” from the hiring criteria defined above. They are generally not hired through USAJobs but directly through individual agency website postings. Both agencies and positions within an agency can be considered “Excepted” for hiring purposes. Wikipedia lists most of the agencies that hire through this authority along with links to their hiring websites so that you will know whether you should concentrate your search on USAJobs or on one or more agency websites. Presidential Management Fellows (PMF) Program. Note that the term “Recent Grads” applies to ANY degree level from Associates to PhD who has graduated within the past two years, and the Presidential Management Fellows (PMF) is only available to graduate students. The General Schedule (GS) is the predominant pay schedule for federal employees. A good rule of thumb is that entry level with a BA/BS is typically GS 5-7, with an MA/MS between GS 7-11 and with a PhD GS 9 and above. NOTE: This is not a hard and fast rule – especially if you majored in a STEM field or have 1 year or more of relevant experience. Calculate your potential salary by grade, step and locality. Be Marketable for Federal Positions (pdf) will tell you what agencies want and need from new hires. Special Government Hiring Programs give those who complete them a shorter path into government agency work. The link includes Federal, state, and local program opportunities. There are also special hiring initiatives for candidates with disabilities, veterans, and people who have successfully completed Americorps Vista or Peace Corps service (see those tabs for more information about these programs). Who’s Hiring, How Many, and Where? FedScope is the only comprehensive place to find hard data on numbers of those employed at Federal agencies. This can help answer your questions about how many Feds work in your state, or how long people have worked at an agency or the most common GS levels in an agency. Select a topic, select a “cube” and navigate as you would any Excel spreadsheet. The annual Best Places to Work survey (updated every November) provides just what the name implies: data which displays the results of current and former Federal employee satisfaction surveys on a variety of metrics. Follow agencies on social media – The U.S. Digital Registry serves as the authoritative resource for agencies, citizens and developers to confirm the official status of social media and public-facing collaboration accounts, mobile apps and mobile websites, and help prevent exploitation from unofficial sources, phishing scams or malicious entities. It is where you will find all Civil/Competitive Service jobs (except Postal) and the vast majority of Federal internships (both paid and unpaid). Most positions are listed by GS pay grades (see above) – but you will also see other grades when you view jobs. The USAJobs YouTube channel is full of helpful videos about Federal hiring. Need an SF 86 or an SF 15? Standard Forms and Optional Forms often requested as part of a complete application can be found at this link. IntelligenceCareers.gov should be your first stop if you are considering a career in the intelligence field. The site is like a USAJobs for the IC (Intelligence Community) and four of the 17 agencies in the IC post their jobs directly to this site. The IC website also hosts a bi-annual virtual career fair (typically in October and February) where you can “talk to” recruiters from the 17 IC agencies. Booklet: Intelligence as a Career. Is it right for you? Are you right for it? If you are interested in a position at one of the Federal Reserve Banks, you should apply through the respective Bank’s web site. You may also find postings here. The Department of Defense’s GoDefense website will help you navigate the labyrinth that is the DoD. If you are interested in a civilian career with any of its agencies this site can help you learn more and find job openings – especially Excepted positions not listed on USAJobs. This site also does a good job of explaining how the DoD is organized and making positions easier to locate. Careers in Diplomacy is a highly recommended State Department group on LinkedIn. State has virtually every kind of social media presence you can think of, so look for them on LinkedIn, Twitter, Facebook etc. The Federal government has a great need for people who speak certain “critically needed” languages such as Arabic, Farsi, Chinese, Russian, Hindi, Korean, Turkish, Urdu and many others. UW’s own Language Institute hosted this panel of Federal employers talking about Professional Opportunities in National Security and Intelligence for those with language skills. Boren Scholarships/Fellowships – If you are studying one of the many critical needs languages as defined by NSEP, you may be eligible to apply for up to $20,000 in funding to study your language abroad. (Scholarships are for undergrads, Fellowships are for grad students). Critical Language Scholarship Program – The CLS is a fully-funded overseas language and cultural immersion program for American undergraduate and graduate students. CLS provides study opportunities to a diverse range of students from across the United States at every level of language learning. The most common scale used to rate and rank language applicants is the ILR Scale. The website will tell you all that you need to know about the ILR including how to prepare for testing and what proficiencies are expected at each level. DoD agencies and the US Military typically use a different language scale called the DLPT. If you have clicked on this tab, you are already a major step ahead of 75% of the other applicants for any federal government job or internship. What Is/Isn’t a Federal Resume? A true Federal Resume is not the same as the 1 page resume that most career advisors and well-meaning parents will teach you to write. KSAs (Knowledge, Skills and Abilities) are how government decides which candidates are the Best Qualified to be referred to a hiring manager. Create a federal style resume that you design yourself in MS Word (see Frank Federal resume for a sample you can emulate). If you are applying for a job through USAJobs, you should use the resume builder. USAJobs does give you the option to upload a resume instead of using the builder, but if you are applying for a career position, the resume builder is preferred for a variety of reasons. The finished resume will typically be 3-5 pages long. As a recent college graduate, try not to go longer than 5 pages unless you have a significant amount of truly relevant experience. It is also possible to create a Job Series keyworded resume for a particular type of job (E.g. : Read the PDF for a 1530 position and create a generic 1530 resume using the keywords you find there. When a specific 1530 series job opens up, tweak that generic 1530 resume to make sure the generic KSAs of the position align with the agency’s specific needs). Pathways: Internships which are part of the Pathways program are always paid and always listed on USAJobs. Click the box marked INTERNSHIPS to see what is currently available. Keep in mind that internships may be meant for undergrads, current grad students, or current medical or law students. Also, be aware that internships are offered throughout the year, not just during the summer, so if you can take a semester off to intern (similar to studying abroad) this is a great chance to really understand what it is like to work in a Federal agency – and you will have much less competition for prized positions. Excepted Service: In addition to Pathways internships there are internships and intern programs offered in agencies which typically do all or most of their hiring through the Excepted Service. These must be found and applied for on individual agency websites (see link below). The PMF: The prestigious Presidential Management Fellows program (known as the PMF) is a part of Pathways but is exclusively for graduate students. It is extremely competitive and takes on a new cohort of interns each May following an application process which begins the previous November. Many students have felt that the Path to PMF Website and Guidebook can be more helpful than the official PMF site. Zintellect – Allows candidates to access information for hundreds of opportunities and the corresponding applications offered through ORAU. Applicants complete a general profile with common questions among all programs. Once the profile is complete, applicants may apply to specific opportunities available in the system by answering a few questions specific to a particular program. Applicants are able to customize their references, resumes, and responses based on each opportunity to which they apply. Wisconsin in Washington – an opportunity for UW-Madison juniors or seniors who are pursuing a wide variety of academic majors and certificates to spend a semester or summer interning and studying in our nation’s capital in areas including government, politics, media, law, international affairs, business, nonprofits, marketing, public relation, environmental policy, public health and much more! Offered Fall, Spring and Summer. Deadlines are VERY early (eg: November for summer and following fall internships) so check the website and watch for updates. Note: This program is not required in order to intern in DC, but it is a good option that allows you to remain enrolled during your internship semester. DC Public Affairs & Communications – Washington DC area jobs and internships in public affairs, communications, public relations, media, web development, lobbying and related fields. FINAL NOTES: Like most employers, Federal agencies prefer to hire “known quantities” when a job becomes available. By interning in a Federal agency, you not only gain great experience, you also get to prove your value to supervisors and colleagues who then often work very hard to see that there is a place for you to join them after you graduate. Obtaining a Federal job may be more difficult than it was a few years ago, but there are still plenty of opportunities to be had. Remember, getting in is the hardest part, so if your first assignment isn’t your dream job, don’t worry! Once you are a Federal employee, you can begin to build up your skills, and increase your access to other opportunities – either within your agency, or at another one. Pathways Recent Grads positions: These positions (always listed on USAJobs) are a great way to get a start in government. To be eligible, you must have graduated from a qualifying institution (UW qualifies!) no more than 2 years prior to the closing date of the announcement. If you will have your entire degree completed and awarded within no more than two months following the closing date of the announcement, it may be worth it to go ahead and apply. Just don’t lie when they ask if you have already earned your degree! Say no, but show your anticipated graduation date on your resume. Some agencies (like the CFPB) state in their announcements that you can apply several months prior to graduation, so read announcements carefully – you might be totally fine to apply before you graduate! Search by Job Series Code: Every Federal position in the Competitive Service has a classification number assigned to it. These numbers describe the common duties of and expectations for that position at each relevant grade level. Doing a series job search can save you a lot of time as many keywords (like policy) are too common to provide you with helpful results on USAJobs. Direct Search – Most Federal agencies are under the Executive Branch, but there are a host of agencies that serve the Legislative and Judicial branches directly and these may or may not be listed on USAJobs. In order to find and apply for Excepted Service positions, you will need to go directly to the agency’s webpage. Excepted Service positions (such as those with the CIA) are seldom (if ever) advertised on USAJobs. Excepted Service positions also have a hiring structure which may make them more attainable by recent graduates. Federal Recruitment Studio – Want to know what OPM tells agencies when it comes to hiring rules and practices? Final Thoughts: Consider the following as you start your job search: A less desirable (to you) location, an agency other than at your “dream agency,” a Part-Time, Term, or Temporary assignment rather than looking only at traditional Full-Time jobs, entering government service at a slightly lower pay grade/level than you might have hoped for, or even military service to gain relevant experience for a variety of desirable careers (see the Military Officer Careers tab for more info). To learn all about what it’s like to join the military including career paths, pay, and day-to-day life – either as an officer or enlisted – you can visit Today’s Military. For those of you heading toward pre-med, pre-dental or related disciplines, the Department of Defense created this handy website specifically to focus on Medicine and the Military. It covers all service branches with their own medical corps and discusses the training programs and career paths. This handy guide shows all the insignia designating different ranks in all five military branches. They have a special website for Navy STEM careers.The US Navy offers a Career Comparison Tool that attempts to match your interests, background, and skills with the Navy’s needs. There is also a special website explaining the many opportunities available in a Navy Medical career (the Marine Corps is served by Navy medical personnel and does not have its own medical corps). Our medical recruiter (see above, right) can give you more information, but the Navy also offers opportunities for qualifying individuals to get their Medical, Dental, P.A. Nursing, Clinical Psychology, or Social Work degree 100% paid for, while earning a salary through the HPSP and HSCP Scholarship Programs. You can learn more about being a Marine here Fun Fact: The Marine Corps is 175,000 strong (the smallest branch of the armed services), but only 18,000 men and women are selected to become officers. A Marine Corps officer is the best of the best. This page features videos showcasing the various career opportunities ranging from Aviation, to Intelligence, to JAG, to Public Affairs. As mentioned above, there is no Marine Corps Medical per se since all health care is provided by Naval personnel. If you are interested in enlisting, there is also a Career Tool for enlisted opportunities. You can find opportunities to become an Air Force officer on their Careers page. Their career opportunities are similar to the Navy’s (Arts & Education, Intelligence, Aviation – naturally, Special Ops, Natural Science, and much more. Wonder what life in the Air Force is like? The Coast Guard is a military, multi-mission, maritime force offering a unique blend of military, law enforcement, humanitarian, regulatory, and diplomatic capabilities. Their three broad roles are: maritime safety, maritime security, and maritime stewardship. The Federal Government has a long and outstanding record of employing veterans. Veterans have technical skills in areas of critical importance, and many also already have security clearances required for some Federal positions. Federal service provides a means for veterans to continue their noble service to this country. Federal employment can sometimes seem complicated and overwhelming, particularly when you factor in things such as veterans’ preference and special hiring authorities for veterans. Honorably discharged vets (upon presentation of their DD214 and any other requested documentation) receive an automatic 5 or 10 point preference in Federal hiring for life. There are also special hiring incentives given to those with 30% or more service connected disabilities. The resources below will be helpful to both the veteran interested in working for the Federal government, and the veteran interested in resources to help them apply for private sector jobs. This page will help you understand the special Federal hiring authorities that apply to vets. The Office of Personnel Management in support of the President’s Veterans Employment Initiative, created a one-stop web site resource for Federal veteran employment information. The information on this site is designed to ensure veterans, transitioning service members, and their families receive accurate and consistent information regarding veteran’s employment in the Federal Government. The Department of Labor’s Mil to Fed website can show you how your military experience translates into Federal jobs. Just enter your service branch, rank, and grade and get some idea of which Federal jobs are a perfect fit. If you are looking to see what general skills your rank and grade equipped you with, this military skills translator will provide not only a list of skills, but some examples of jobs requiring those skills. If your particular MOC does not directly translate, use this skills profiler to help determine your strongest skills as they can apply to civilian jobs. Resume Engine offers a resume builder that helps translate your skills and put them onto a resume broken down by service branch. The UW Veteran’s Services and Military Assistance Center page has some helpful links for student vets on it. The Veteran’s Center is located at 333 E. Campus Mall, Suite 10301. The Federal Government is actively recruiting and hiring persons with disabilities. 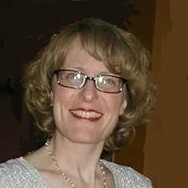 People with disabilities can be appointed to Federal jobs non-competitively through a process called Schedule A. People with disabilities may also apply for jobs through the traditional or competitive process. Learn how to be considered for Federal jobs under the Schedule A noncompetitive process. One of your best friends in the hiring process may be your SPPC or SEM. Most Federal agencies have someone called a Selective Placement Program Coordinator (SPPC), Special Emphasis Manager for employment of adults with disabilities (SEM), or their equivalent. Their job is to assist agency management with recruiting, hiring and accommodating individuals with disabilities at that agency. The Workforce Recruitment Program (WRP) is a federal program that connects public and private sector employers across the United States with college students and recent graduates with disabilities who are eager to demonstrate their abilities through paid internships. Since1995, over 6,000 students and recent graduates have received temporary and permanent employment opportunities through the WRP. At UW-Madison, WRP is managed through the McBurney Disability Resource Center. WRP normally recruits in the fall semester each year. When a government agency can’t, won’t or lacks the money to resolve a public issue on its own, for-profit businesses bid on contracts to get the work done. Some of the names you may know: Boeing, Northrop Grumman, Booz Allen Hamilton, G.E., and many, many more. Typically people go work for contractors after a period of time on Capitol Hill or working for a Federal Agency. If you’d like to break into government by working for one of the hundreds of federal contractors, this list will help by providing the names of some of the biggest players. Keep in mind, many will ask for a security clearance and it is IMPOSSIBLE to get one yourself. You only get one by working for a federal agency first. Or if the contractor will sponsor you to get one. Day-to-day functioning of the elements of the criminal justice system in the U.S. Nature of crime in the U.S., ideas about causes and solutions. Emphasis on the sociology of the components of the criminal justice system–organization and roles of police, lawyers, court and correctional personnel. Basic institutions and processes of American government. The role of constitutional structures, parties, interest groups and elections in the system; policy formulation and policy content. Prerequisites: Students who have taken POLI SCI 103 prior to Fall 2017 may not enroll in this course. Covers the major issues in international relations since the end of World War II including: the causes of war; civil wars and ethnic conflict; economic development; international trade; exchange rates and international monetary relations; international capital flows and financial crises; foreign direct investment; globalization and the environment; the UN, the IMF, World Bank, WTO, and other international organizations; and international law and human rights. The focus is on states’ relations with each other and the factors determining the nature and outcomes of these international interactions. The course seeks to develop analytical tools for thinking about important questions in world politics regardless of the countries or issues involved, to examine international affairs in a systematic way.